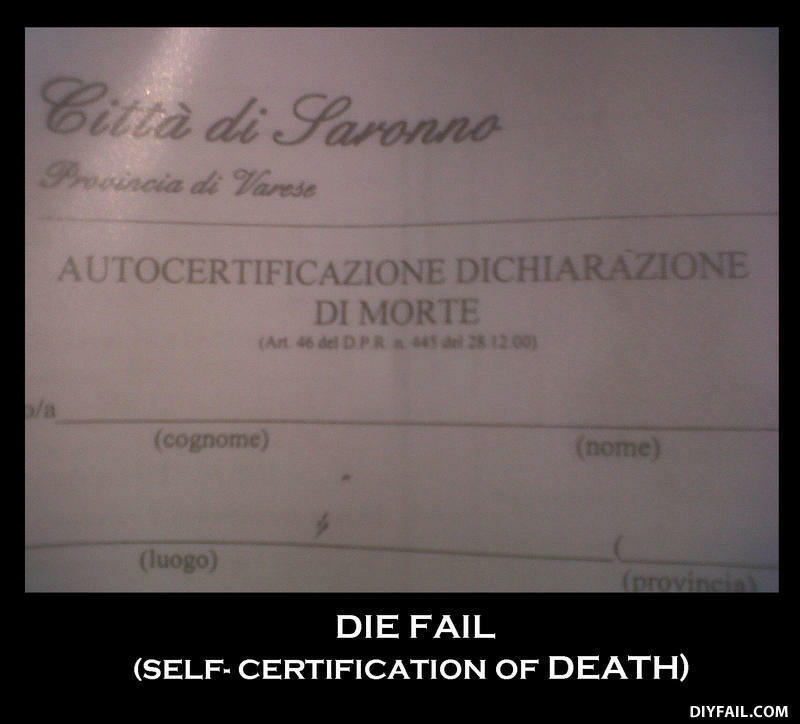 DIY death certificate. If you want something done right, sometimes you just have to do it yourself. How did the clown crash his car? A horrible tornado chrashed through the town.